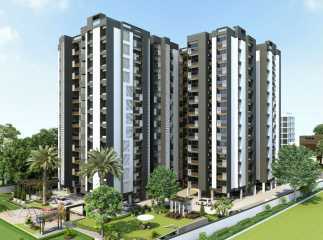 Shahibaug is one of the fast-developing residential hubs in Ahmedabad. In recent years, the area has witnessed a huge surge in population migrating to the newly developed residential complexes. Various developers are coming up with 2/3/4 BKH flats in the area. Investors interested property in Shahibaug now has a large number of options to choose from. Already, the sophisticated infrastructure in the area has attracted hundreds of homeowners. Spacious and comfortable homes, easy connectivity to commercial places and places of entertainment, and the availability of all the necessary amenities of living have led to the popularity of the region. The cost of properties in Shahibaug has undergone a steady rise in the last five years. It is likely to rise further with the development of several roadways and security facilities. Shahibaug is connected by the Subhas Bridge to Vadaj area on the other side of Sabarmati River. With the inauguration of a new flyover in 2010, it is now connected to the Ahmedabad cantonment area. People residing in the flats in Shahibaug will enjoy easy access to the area. Besides, it is well-connected through roadways to the key commercial zones of the state. Other places of interest in Shahibaug include the Calico Museum of Textiles, Camp Hanuman Temple, and Hutheesing Jain Temple. People migrating to the apartments in this area will face no dearth of entertainment. Besides, it has enough healthcare facilities. Two important hospitals, namely the Civil Hospital of Ahmedabad City and the Rajasthan Hospital, are located in close proximity to the residential zones. With a network of well-planned roadways connecting them to Shahibaug, the area promises one of the best grades of infrastructure in Ahmedabad. People buying property in Shahibaug Ahmedabad will have no issues in schooling their children. The area is close to a number of educational institutions, including Kendriya Vidyalaya 1 & 2, Rachana School, Amrut High School, Aryan Gurukool, and H B Kapadia New High School. The residential projects in Shahibaug are clad by a green touch of nature, ready to energise the spirit of people residing in the apartments. Customised to suit the needs of a modern lifestyle, the apartments in Shahibaug present the best mix of comfort and elegance. A vast plethora of amenities awaits the buyers, ranging from fitness infrastructure to security facilities. The properties in Shahibaug host a swimming pool, gym, and meditation centre. Besides, kids will enjoy a dedicated space to play around. Families living in these apartments will enjoy 24/7 power backup, water supply, internet connection, and much more. The property in Shahibaug Ahmedabad offers smart living facilities, along with parking spaces, relaxation zones, and sports activities. The key reason behind the rise in the price of the properties in Shahibaug area of Ahmedabad is the centralized location. If you are interested in high-end apartments in this area, it is the best time to invest. 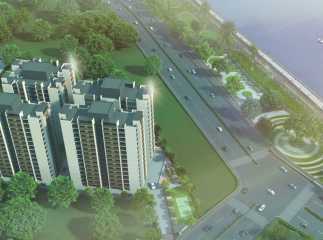 Homeowners interested in the upcoming project Shahibaug Ahmedabad are already booking their apartments. You too, should have a look at the infrastructure and get an apartment for personal use or investment purpose.